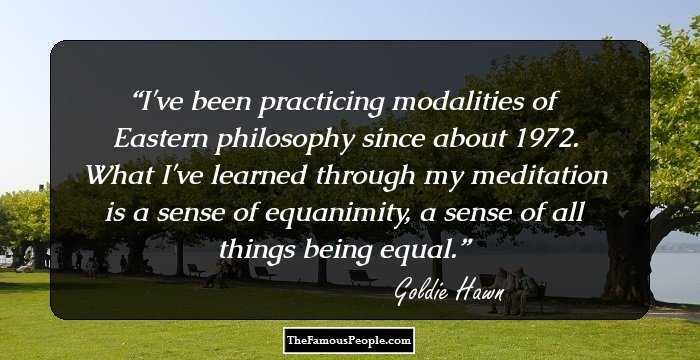 A collection of funny and meaningful quotes and sayings by Goldie Hawn on movies, marriage, love, happiness, calm and decisions. Goldie Hawn is an illustrious American actress, occasional singer, producer and director. She gained recognition from a comedy program titled ‘Rowan & Martin’s Laugh-In’. In 1969, she won the ‘Academy Award for Best Supporting Actress’ for her performance in ‘Cactus Flower’. She also received a ‘Golden Globe Award’ for Best Supporting Actress for the same. She ruled the box-office for more than thirty years with her phenomenal performances and movies that included, ‘Seems Like Old Times’, ‘There’s A Girl In My Soup’, ‘Shampoo’, ‘Butterflies Are Free’, ‘Private Benjamin’ and ‘Foul Play’ amongst various others. She is also the founder of ‘The Hawn Foundation’ that works towards aiding underprivileged children. 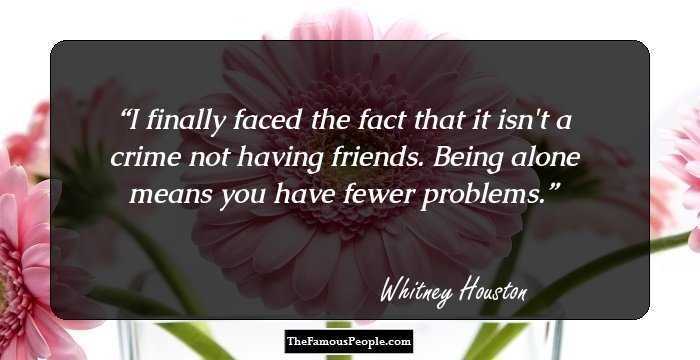 We have rounded up some notable and thought-provoking quotes and sayings by the charismatic actress which have been extracted from her movies, thoughts, dialogues, performances, interviews, works, public utterances and life. 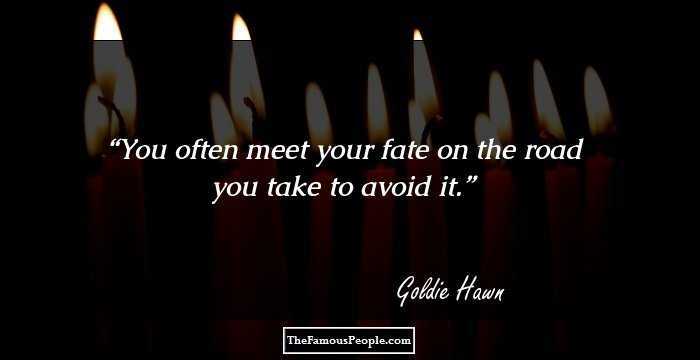 Go through the quotes and thoughts by Goldie Hawn on hardest, simple, ageing, sexuality, love-yourself, success, failure, dreamer, losing, imagination, life, joy, peace, relationship etc and get enlightened. I've been practicing modalities of Eastern philosophy since about 1972. What I've learned through my meditation is a sense of equanimity, a sense of all things being equal. 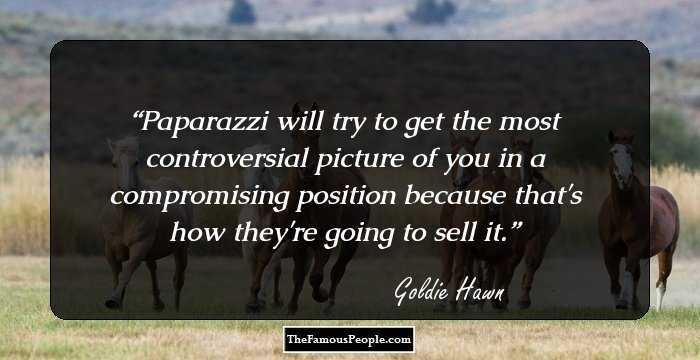 Paparazzi will try to get the most controversial picture of you in a compromising position because that's how they're going to sell it. I am compelled to continuously see the bright side. It is in my DNA. 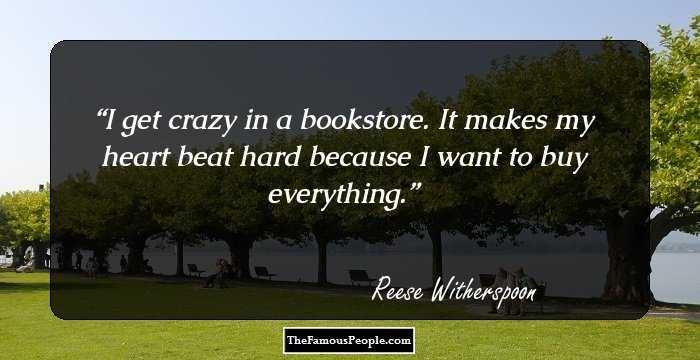 My kids look at me and say: 'Mom, you're so happy!' And I do feel happy. I feel joyful inside. I can't explain it. 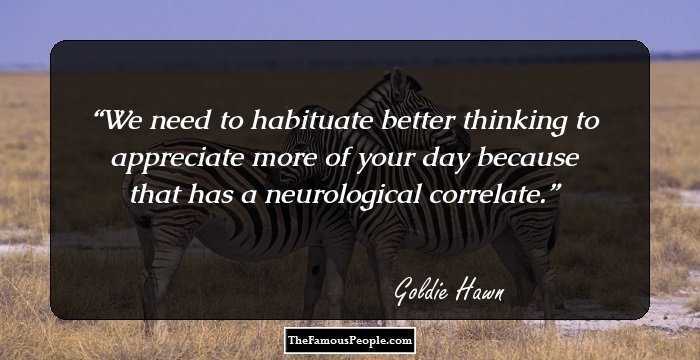 We need to habituate better thinking to appreciate more of your day because that has a neurological correlate. I want to know where joy lives. I'd interview scientists, religious leaders and heads of state. I'd want to find out exactly what makes people happy. 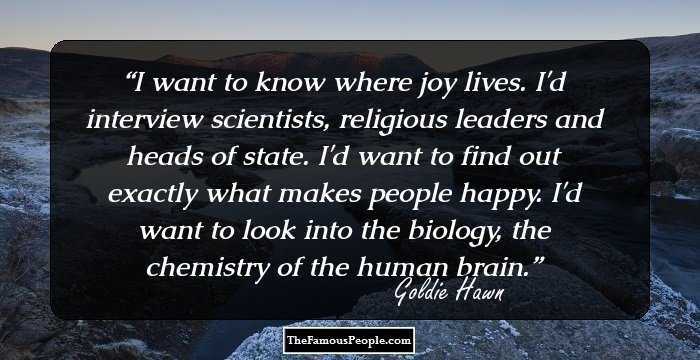 I'd want to look into the biology, the chemistry of the human brain. I believe having religion in your life creates the potential for long-lasting relationships. Buddhism is really, one of its main practices is understanding and experiencing compassion, and how that ultimately is a road to happiness. I've been practicing Buddhism for a while. So, I call myself a Jew-Bu, because my tribe is still Jew. But my philosophy and my practice is really Buddhist. Attention for children is so much about input, and the brain can only filter so much - I don't know how many millions of messages that come through the brain, and we can only filter so much through it. Oftentimes, actors are looked at as court jesters. They are not looked at as deep-thinking, smart people who do many other things or have gifts in other areas. I love making people laugh and by the way I still do that with the charitable efforts on my part because I believe that people need to laugh. No relationship is easy, and nobody should ever think it is. The minute you start forgetting the needs of the other person is when you get in trouble. My parents always supported me, but I was put to task. 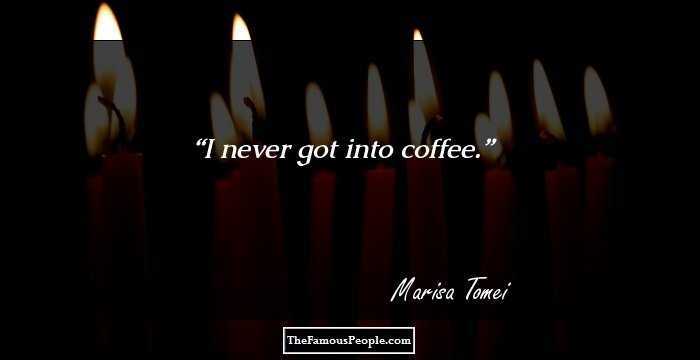 My father thought when I sang, I was sharp; my mother was upset when I wasn't in the first line at recitals. When I started go-go dancing on tables for a living, I didn't want to tell my mom or my dad. I made 25 dollars a night, and I was able to make my rent, with the four girls I lived with. I can't imagine, as a human being, not being able to grow. I don't like facial hair, and I don't like kissing facial hair, as you cant find the lips. I'm extremely proud of my daughter. She's done amazing work. 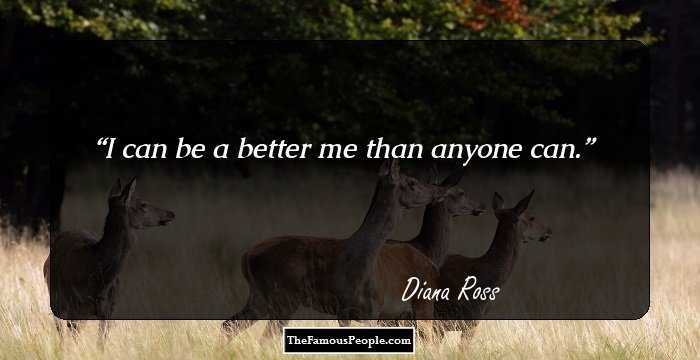 She's worked on herself, which I think is important. When you get to a certain age, you have to make a decision for yourself: if you want to get old in the industry, and you want to play maybe a few parts that come along now and then - or what else in life interests you? The big money goes to kids and young men - big tent-pole movies, which are expensive but have a great return. My mother was the kind of person who was very much part of her tribe and very much a satellite of her tribe. She was the girl who left her family at the age of 17 and went to Washington. My mother was orphaned at three and then was brought up by my aunt Goldie. So, yes she belonged, but there was a part of her that didn't. The truth is that no matter how old we are, as long as our mothers are alive, we want our mother. And it's a very powerful relationship if it's healthy. I always wanted to be a mother first. A child's giggle tickles me deeply, and it breaks my heart when that begins to disappear. So I do what I can to create opportunities for children to continue to laugh and rediscover their joy. Sadly, so many arts programs have been eliminated from schools due to budget constraints. These creative outlets are so very important, not only for a child's well-being, but also for self-expression and fun. I always wanted to understand the causes of happiness. I'm a bit of a scientist, I guess you could say. It's important, at least for me, that while we're entertaining, there's also something substantive to talk about. When you're female working in a male-dominated industry, there are unfortunately extra things you need to do - for example, couch opinions in a way that sounds palatable and not threatening. That's a skill I developed. If you have a sense of yourself, your mission, your belief system, those things will lead you to success. I would have been long divorced if I got married. If you need to be bound to someone, then it's important to be married. If you are independent, then it's important to not be married. A woman opening a movie with no other star is like a miracle. Directors didn't want to work with me because I was 'too controlling.' If it had been a man, it wouldn't have meant a damn thing. I do a lot of juicing. I don't put a lot of food in my stomach, and I don't mix my foods too much. So if I want to have, like, protein, I'll just eat a bowl of lentils; I won't mix it with a bunch of stuff. I try to stay positive and be very, very active. I walk every day, and I run and do all kinds of that. I feel there are injustices in the world that I'll stand up for, and I think that it's important to realize that the world is filled with these kinds of issues. Love is something in the heart and in the mind, so why would you chastise anyone for that? And this is something that I feel very strongly about. 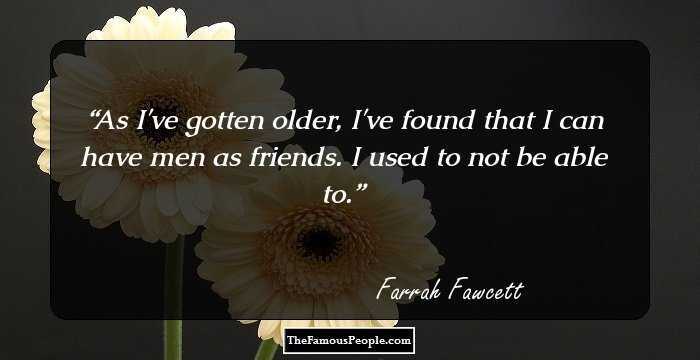 I had a tremendous amount of gay friends, so my whole life was basically like that... I never noticed who was gay or who was straight. A marriage ends up being a business deal: no matter how long or short it is, somebody owes somebody money. It's ridiculous to have to base your relationship on money. Money can destroy people. It really can. It's nice for a woman to go out and have her own money and her own ability to do what she wants. You don't meditate once and suddenly your life turns around. What it does is it lets you train your brain to be able to become more stable in an action-oriented way. I was always a performer, always on stage, but I also always believed I was going to go home, open a dance school, get married, and have what you would call a 'normal' life. A fearful child cannot learn. I think journaling is an important, intrinsic experience, and a lot of us don't spend enough time on it. We haven't given our brain the ability to actually analyze something clearly and appropriately before we speak and before we take action. Listening is huge. Learn to listen. And it's hard: relationships are not easy; most of them don't last. I mean, when you look at what's really going on. So every day is a choice, and sense of freedom is important. I've been married twice. It didn't work. I never quite fit in - at least, from my own perspective, you know. I don't read much, to tell you the truth, about me, you know. I don't read my articles very much or stuff like that, but I have read things upon occasion, and some of it is true, and some of it isn't true, you know. I mean it's just the way it goes, you know. Men are different than women, and men live with - with some very difficult obstacles. I mean, a man, basically, in his true nature, is to spread his seed, and a woman is a gatherer, and that's kind of the way we're - our limbic system is set up, you know. At 11 years old, I made a very definitive decision, and my decision was that I wanted to be happy. Above and beyond anything I ever did in my life, I wanted to be happy. I've worked alongside some very good directors and some not so good. I believe that life is about doing. If you lose wonder, you've lost everything. Central to our work and our goal of finding solutions to global problems is the concept of mindfulness, a technique for focusing attention objectively on the here and now. After I did 'Private Benjamin,' suddenly the reputation was that Goldie Hawn calls her own shots. 'Liberation' is an interesting word because you can be liberated from external things and also from your internal dialogue. Don't tell me I can't do that. Watch me. Don't tell me I can't direct this movie. Watch me. I don't want to sound like you never feel anything - we've all loved and lost, all had a lot of pain, and we're supposed to. We're humans; it's the way it works. But it's how you manage it, how you manage those tears and that pain. How you are able to get yourself out of it. I would like to see a mandate for social and emotional learning absolutely mandated in every state. I'm not a proponent of staying together and being miserable and damaged and coming through actually a more battered person. I didn't really want to be a movie star. I thought they were so screwed up! I'm generally known as a happy person, but years ago, I suffered from panic and anxiety. I've learned to manage the fear and pain. If you have a negative thought - 'I can't stand my boss' - it perpetuates a negative worldview. But if you supplant each negative thought with three positive ones, you begin to restructure your brain. People talk about the brain weakening as it ages. Mine feels stronger. I just love good smells. Being a dancer is my metaphor for life because you have to know your body. Being a dancer and paying attention to fitness is all about moving in balance. Not every relationship works, and that is the truth, and I don't care whether you're a movie star or just a person on the street, normal life. Everybody's normal, relationships are always normal. I think movie stars have a little bit harder time because the cameras are on there all the time. But you have to be who you are. 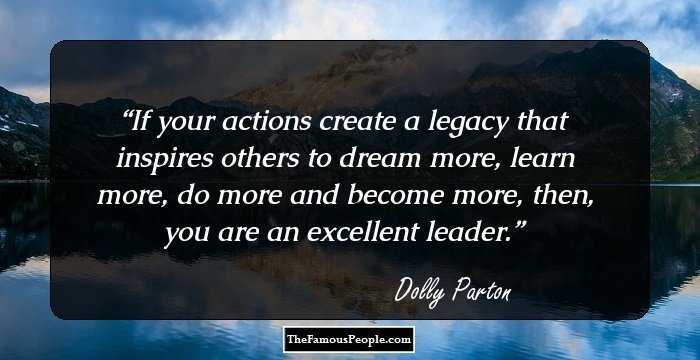 I think that men have tremendous ability to lead. And I think women have a tremendous ability to lead, and they lead differently, and it gives a wonderful perspective to the problems. 'Private Benjamin' was the first movie I produced, and I produced it for practical reasons. Familiarize yourself with the parts of your brain and their function. One way to feel good about yourself is to love yourself... to take care of yourself. The ability to remain calm and focused in stressful situations is central to making positive decisions. It's wonderful to know you're aging, because that means you're still on the planet, right? Whether you're successful or not, you'll never actually feel the joys of accomplishment unless you love yourself. Success can be very difficult to deal with. You have to stay in the center. If you let your success define you, then you're really just setting yourself up for failure. Mindfulness can help people of any age. That's because we become what we think. It is not the question, what am I going to be when I grow up; you should ask the question, who am I going to be when I grow up. We go into restaurants, and people aren't talking anymore. They're texting. While they are sitting at a restaurant with each other. So we're losing this intimacy that we need to have as human beings. A lasting relationship isn't about marriage. It's about compatibility and communication. And you both need to want it to work. I'll bike up the mountain, or I'll do Pilates or spin.